The best candle or soap is obviously a homemade one! There are quite a few online shops that deliver the ingredients to make your own candles or soaps. Of course you also need a mould for your candle or soap to be cast in. This mould you can sculpt or copy yourself. For this it is often best to use silicone. 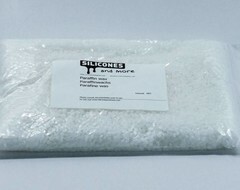 Almost all silicones are suitable to make moulds for candles and soap. The temperatures of the soap and wax are no problem for silicone molds and there are few ingredients for these products that will degrade the silicone moulds later. One usually uses a flexible silicone with high details for soap and candle moulds, so as to not destroy the cast when de-moulding. You can choose between silicone that bleeds and thus facilitates de-moulding and causes a surface to shine a bit more or a dry silicone that will mimic the original surface better. Silicone Addition Yellow 25 €25,95 The silicone addition Yellow 25 is a 2-component (polyaddition) casting silicone, that cures at room temperature to a medium hard rubber.